(CBS/AP) Many celebrities came out to remember rapper Heavy D at his funeral on Friday, and even President Barack Obama had a presence there. Rev. Al Sharpton delivered a message for Heavy D's young daughter, which he said was directly from the president himself. Sharpton read briefly from the note for the 11-year-old Xea Myers. "Please know that you and your family will be in our thoughts and prayers," Sharpton read from the Obama note. Xea spoke as well, telling the packed church that her father was "still here not in the flesh, but in the spirit." The rapper, whose real name was Dwight Myers, was influential in the development of rap as it grew into a phenomenon in the late 1980s and 1990s. His hits included "Now That We Found Love" and "Nuttin' But Love." A lot of his music marked the "New Jack Swing" era in urban music, and he stood out from the pack with his rhymes, typified by a positive vibe and lightheartedness that endeared him to so many. Grace Baptist Church was so crowded that an overflow area was set up. Among those in attendance were Usher, Queen Latifah, Don King, Q-Tip, John Legend and Rosie Perez. The 44-year-old rapper died in Los Angeles last week due to complications from pneumonia, according to his family. 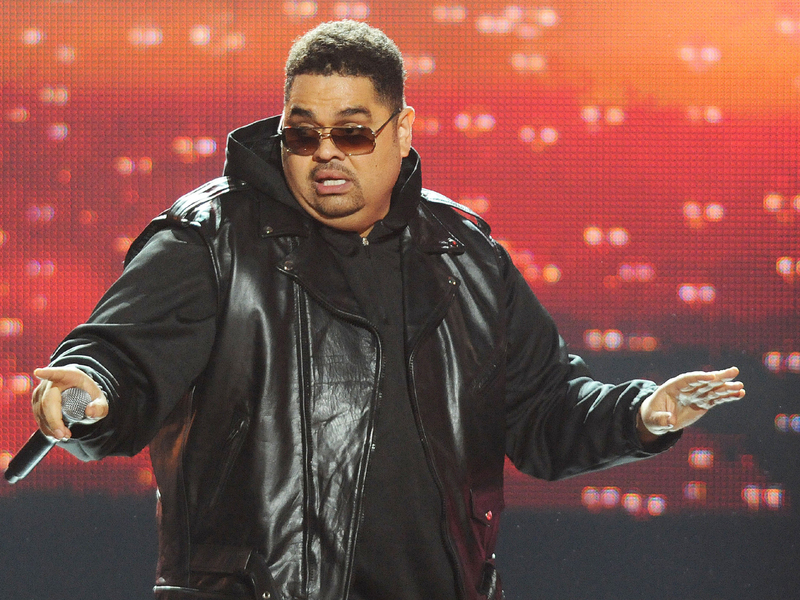 Heavy D was born in Jamaica but reared in Mount Vernon, N.Y., where the service was held. Mount Vernon was also the home of Sean "Diddy" Combs.